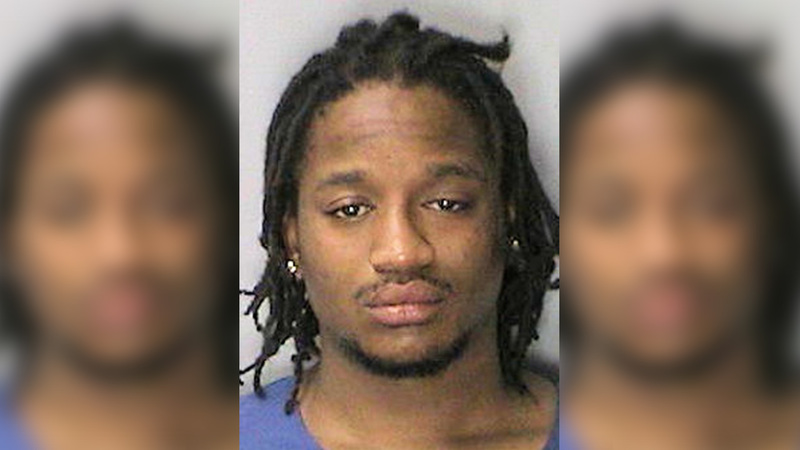 PLAINFIELD, NJ -- Police in Plainfield, New Jersey say a 27-year-old man defecated in his pants so that officers would not place him under arrest over the weekend. Officers responded to a report of a disorderly man at 4:21 a.m. Sunday on the 800 block of North Wood Avenue. Arriving officers observed 27-year-old Kyle Chambliss, of Plainfield, talking loudly on his cell phone while sitting in a vehicle. They reportedly smelled alcohol coming from Chambliss and asked him to step out of his car. After being told to end his phone call and speak to them, he allegedly became aggressive towards the officers. When he was told he was being placed under arrest, they say Chambliss told them he had to defecate himself and proceeded to do so to keep the officers at bay. When the officers attempted to handcuff him, authorities say he struck one of them in the chest with his arm and kicked another in the leg. The officers then administered a dose of pepper spray to get him to comply with their commands. Chambliss later complained of difficulty breathing and was taken to Trinitas Hospital, where he was treated and released to police. He is charged with two counts of aggravated assault on a police officer, resisting arrest and disorderly conduct. He also had contempt warrants out of Somerset County Sheriff's Department, Union County Sheriff's Department and Bound Brook Municipal Court. He was transported to the Union County Jail in lieu of $65,000 bail, with a court date set for July 22. One of the officers sought medical treatment for his injury.